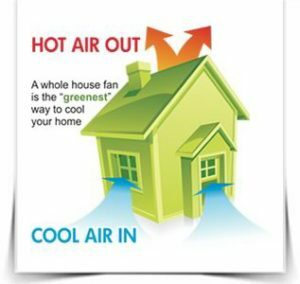 Whole House Fan Company has been making happy customers now for over 30 years. Thousands of Whole House Attic Fans and millions of watts of electricity have been saved for tens of thousands of satisfied people. Working originally out of the Sacramento region, the family-owned business eventually expanded their operations to the Bay Area, Central California, Southern California and San Diego to benefit even more people. Working with their own special patented design, they have become the premier expert at Whole House Fan systems. Keeping steady control on the quality, by overseeing the design and development of the product, installation of the system, and service work. This family-owned and operated business cares about their product, design, and customer satisfaction. The growth of the Whole House Fan Company is a testimony of it. Copyright © 2019 The Whole House Fan Company So Cal | All Rights Reserved.